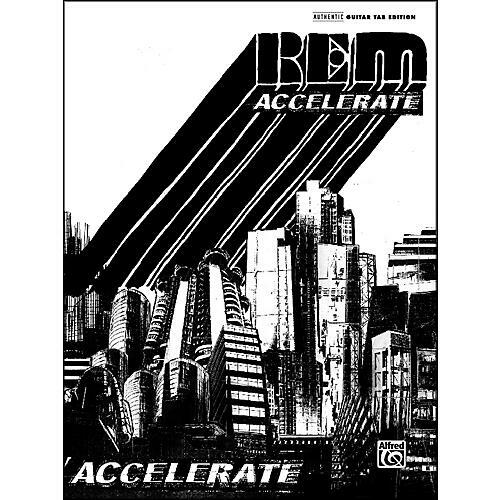 REM powerfully returned to its roots with Accelerate, their first studio album since 2004's Around the Sun. The album's stripped-down, guitar-driven approach puts the 2007 Rock and Roll Hall of Fame group once again firmly behind the wheel of alternative rock, a genre REM helped invent. All songs in this album-matching folio are formatted in authentic guitar tablature.